The vocal score for this classic work, with Latin and English text, edited and arranged for SSA and piano by Desmond Ratcliffe. A substantial new edition of this beloved art song literature, standard fare for collegiate singers. Historical notes are included for each song, and a line by line English translation for study. George Seurat's great painting Sunday Afternoon on the Island of La Grande Jatte adorns the cover. This title is taken from the compilation French Songs and Choruses for Mixed-Voice Choir. 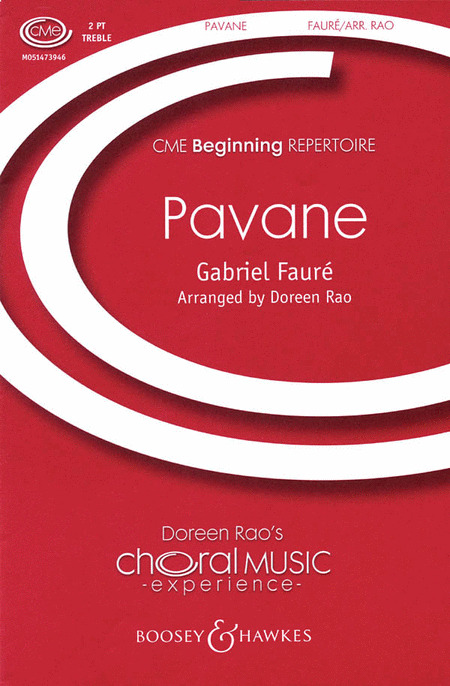 While not as overtly demanding as Apres un reve, perhaps the most difficult of Faure's songs, this composition requires not only sense of line and of delicacy, but rarely supplies the exact pitch to the singer before he or she embarks on the highly exposed vocal lines. The accompaniment often does supply the pitch right after the singer, which makes it easy for the singer to correct any misteps, and for the audience to notice problems. The accompaniment is typical Faure, with almost constant use of arpeggios and almost no heavy chords, giving the feeling of transparency that characterizes so many of his songs. The vocal lines are equally graceful and typical Faure, in flowing descending phrases. This title is taken from the compilation French Songs and Choruses for Mixed-Voice Choir. 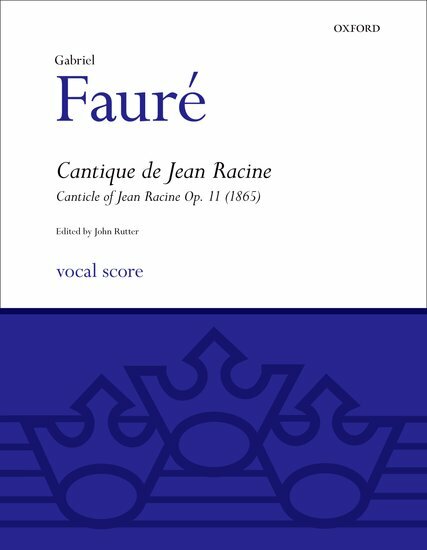 While not as overtly demanding as Apres un reve, perhaps the most difficult of Faure's songs, this composition requires not only a sense of line and of delicacy, but rarely supplies the exact pitch to the singer before he or she embarks on the highly exposed vocal lines. The accompaniment often does supply the pitch right after the singer, which makes it easy for the singer to correct anymisteps--and for the audience to notice problems. The accompaniment is typical Faure, with almost constant use of arpeggios and almost no heavy chords, giving the feeling of transparency that characterizes so many of his songs. The vocal lines are equally graceful and typically Faure, in flowing descending phrases. 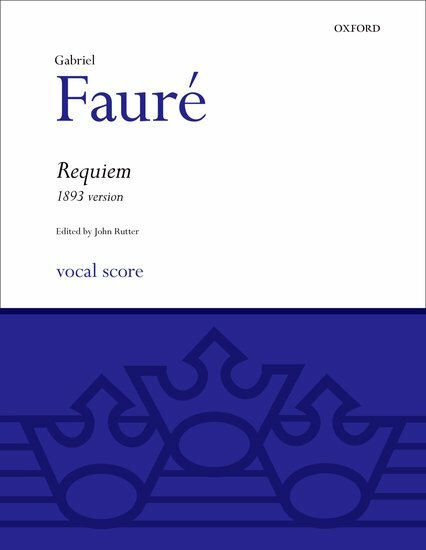 This edition presents Fauré's masterpiece in a form which accords with his original intention that it should be a liturgical Requiem with accompaniment of organ and chamber ensemble. 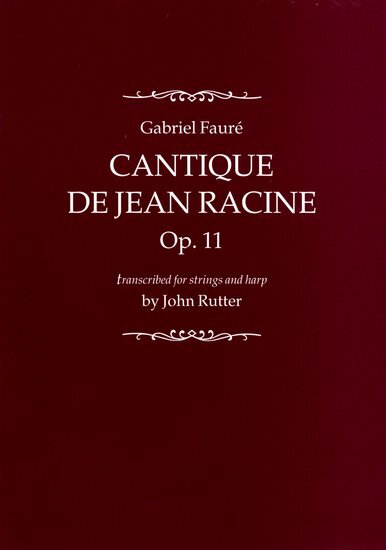 The 1893 version is an expansion of Fauré's original, prepared by the composer for a performance at the Church of the Madeleine in Paris and containing two additional movements, the Offertoire and the Libera me. In contrast to the fully orchestrated version that was published in 1900, this edition preserves the original chamber instrumentation, and it also contains a full English translation by John Rutter. 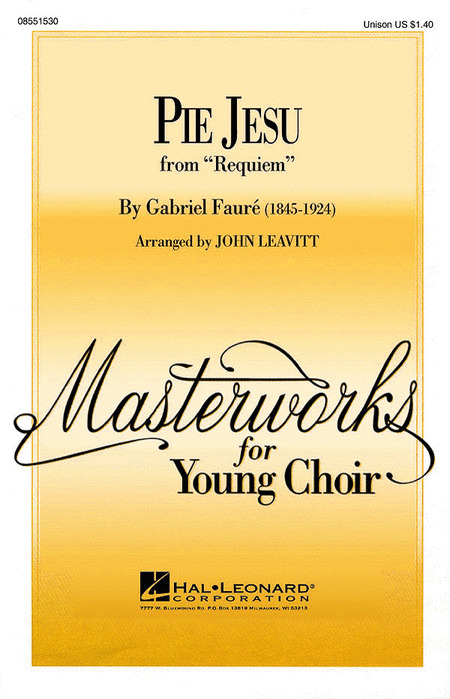 The well-known Pie Jesu from Faure's Requiem is now available separately: unison choirs in this beautiful arrangement by John Leavitt. The integrity of the original is maintained while making this classic piece of literature accessible for young singers. Performance Time: Approx. 3:20. This famous movement is the soprano aria from Fauré's Requiem in D minor, Op. 48. Beautifully arranged for SSA voices, Jill Gallina retained the serene melodic sound while adding full, three-part harmonies, keeping the harmonic intent of the original. 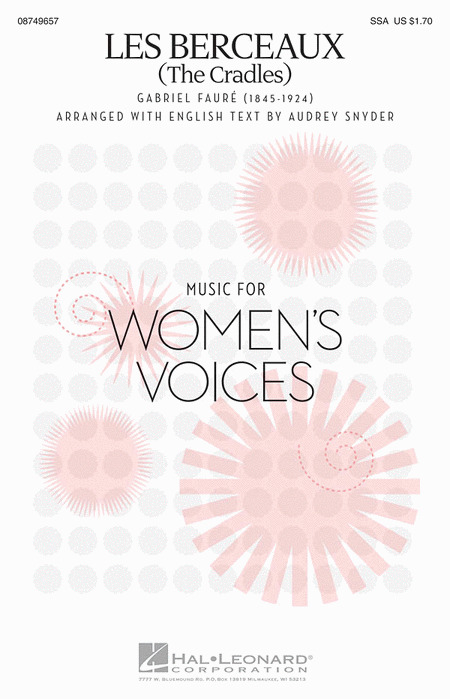 A lovely addition to your women's choral library. Available Separately: SSA, PianoTrax CD. Duration: ca. 2:49. From his best known larger work Requiem in D minor, Fauré's Sanctus is set here for 3-part mixed and SSA voices. Many of the movements from the Requiem have been used in movies and television, making it likely that your young singers have heard parts of it before. This choral arrangement makes a beautiful selection for concert and festival.